These new UBU PornStar Lo-Tops are simply GORGEOUSSSS. The UBU HUD has been updated with new textures and the ability to tie, hide or tuck-in the shoe laces! 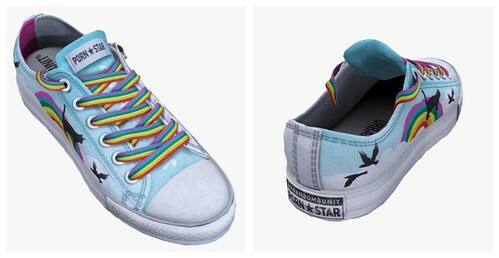 As usual, you can customize these a billion ways. 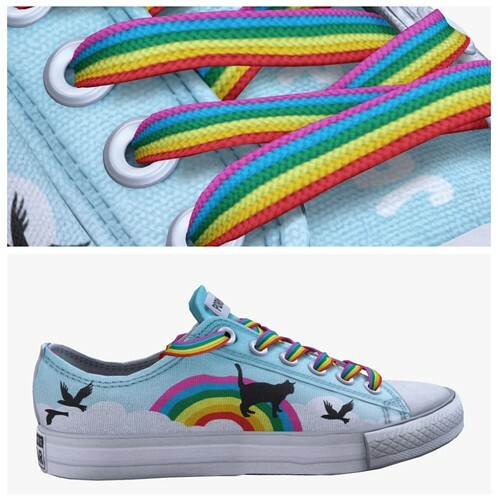 I'm completely obsessed with this new rainbow art texture & rainbow laces. It's my favorite one in the set, but there are tons of cute ones to choose from. They're unisex, too! Tp to Urban Bomb Unit!